Demi has been accepted as a Member of a Musical Theatre company - The Company, along with her sister Kimberley after a successful audition. Performances with "The Company" will be in Demi's diary soon. 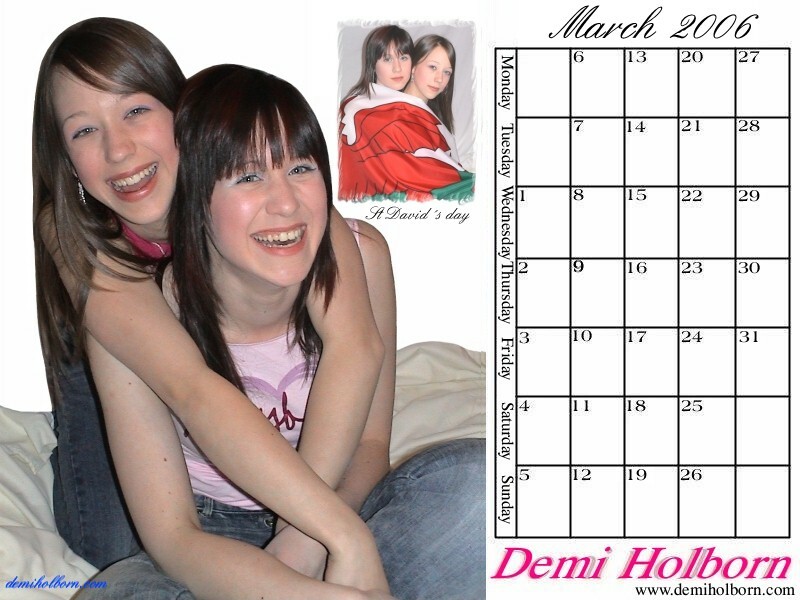 Demi's February calendar goes online. Each month a new calendar is updated and ready for download. of what Demi has been feeling over the last few years.